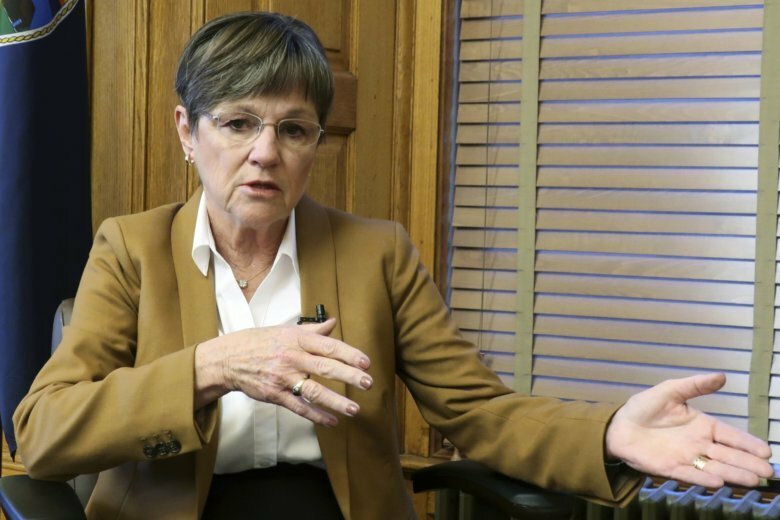 TOPEKA, Kan. (AP) — Kansas’ new Democratic governor called Monday for the state to “forge a new chapter” of bipartisanship, arguing as she took office that the Statehouse had lost the “spirit of neighbor-helping-neighbor” under her Republican predecessors. Laura Kelly was sworn in as the state’s 48th governor on the Capitol steps, in front of huge banners declaring “Equality,” ”Education” and “Opportunity.” Her supporters celebrated a sharp break with her conservative GOP predecessors, even as she attempted to summon an ethos of cooperation across political, ethnic and religious lines. Top Republicans in the GOP-controlled Legislature brushed off Kelly’s critique of state government under her Republican predecessors and focused on her promise to work with the GOP. Kelly’s inaugural address at times seemed an implicit rebuke of President Donald Trump’s sometimes divisive rhetoric on issues such as immigration. Trump carried the state in 2016 by nearly 21 percentage points, but Democrats made political gains in the state’s Kansas City area suburbs in last year’s midterms because Trump was unpopular there. Inaugural events began Monday with an interfaith prayer service at the Statehouse that included a liberal rabbi, a Muslim imam and a representative of a Hindu temple. The event was relocated from the national historic site commemorating the U.S. Supreme Court’s historic Brown v. Board of Education decision in 1954 declaring segregated schools unconstitutional because the building has been closed by the partial federal government shutdown. But Kelly and her fellow Democratic legislators also felt pushed aside during the past eight years under Republican Govs. Sam Brownback and Jeff Colyer. Brownback sought to make Kansas a laboratory for conservative fiscal policies, enacted through the GOP’s supermajorities in the Legislature. “We must forge a new chapter in our story, starting today,” the new governor said. Kelly’s victory drew national attention because Kansas is a Republican-leaning state and her opponent, departing Kansas Secretary of State Kris Kobach, touted his history of advising Trump. Kobach won a narrow victory over Colyer in the GOP primary after Trump endorsed Kobach. But Kelly made the governor’s race more about whether Kobach’s fiscal policies would align with those of Brownback, who pushed legislators to slash state income taxes as an economic stimulus. Most voters deemed Brownback’s experiment a failure because of the budget woes that followed, and legislators reversed most of the cuts in 2017. The new governor has little choice but to work with Republicans, given their large majorities in the Legislature, which opened its annual session Monday afternoon. Even as voters were electing Kelly, in more local Statehouse races, GOP conservatives gained seats. Top Republicans have said they will hold Kelly to a campaign promise not to increase taxes to pay for additional state spending. They will learn more about Kelly’s budget proposals later in the week, after she gives the annual State of the State address Wednesday evening. “We’re going to try to find places where we can work together,” said Kansas House Majority Leader Dan Hawkins, another conservative Wichita Republican.